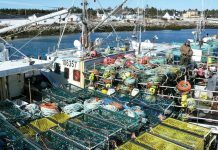 Thanks to Canada’s neighbour to the south, the optimism level of fishermen in lobster fishing areas (LFA) 34 and 35 must be on the rise. 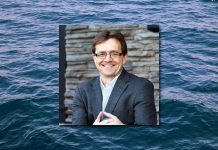 A few months ago, the Atlantic Fisherman speculated that if trade talks between the U.S. and China continued to go sideways, then the Nova Scotia lobster industry might be on the verge of more market share in the lucrative and all-important Asian market. And it appears that prediction, due mainly to the unpredictable demands of the Donald Trump-led, United States government, is coming to fruition. 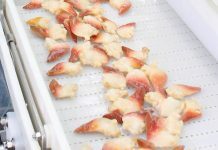 The Chinese investor website Phoenix Finance recently reported that after the U.S.-levied tariffs of billions of dollars on Chinese commodities in July of this year, Beijing answered back with a 25 per cent tariff rate on American lobsters, among other seafood products. “It is hardly possible for China to buy any lobster from America now due to the new measures. Most importers have chosen to align with the government’s decision. 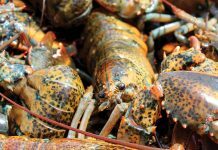 For example, Island Seafood, an experienced lobster wholesaler in Maine, received some frustrating news from its long-time Chinese customer at the end of July. 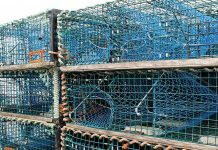 The customer told the company that he could not continue the lobster import from America now,” the website reported. These new tariffs have the potential to undermine all of the work U.S. seafood processors have made in obtaining new Asian markets, particularly in China. 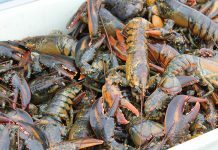 In fact, in export value, the U.S. sold more than 50 per cent of its exported lobsters to China. In 2017, U.S. lobster exports to China were worth more than $90.2 million and rising — that’s 125 times bigger than it was just a decade earlier. In 2017, China imported 17.8 million pounds of U.S. lobster, an amount that has gone up about 20 per cent every year since 2010. China’s middle class, which is 300 million strong, see lobster as a celebratory food that represents their rising fortunes and wealth. And if the added tariffs were not bad enough for American exporters, the Chinese government has introduced more stringent inspection polices for imported U.S. seafood. These added regulations are slowing down the importing process. Efficiency of time is indispensable in selling live lobsters to this huge market. These imported lobsters used to complete all China’s inspection procedures rapidly, which ensured that most of them arrived alive. But now the government requires customs to examine every batch and it takes much more time for the officials to finish the examination. If the lobsters arrive dead, the suppliers do not get paid. 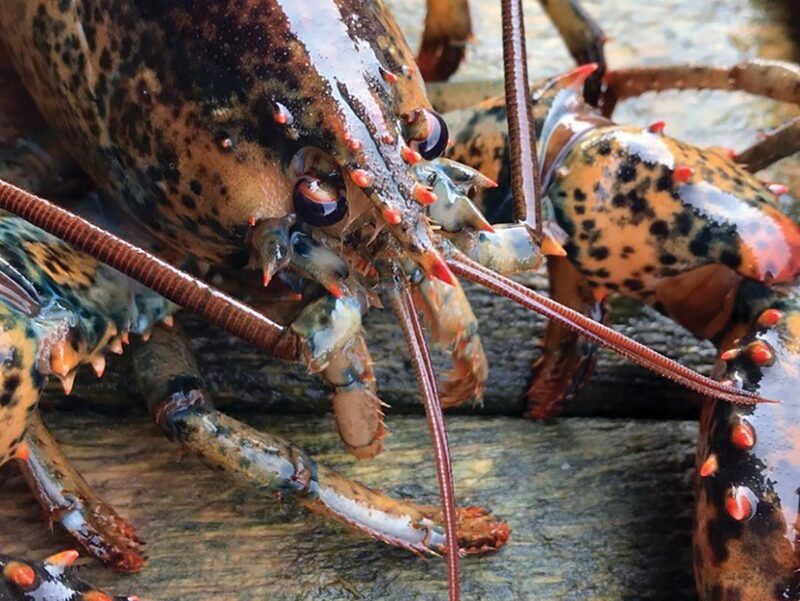 As a result of these Chinese government countermeasures against the U.S., many seafood importers are now looking to Canada to source more seafood, especially lobster. 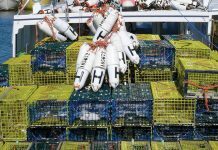 Over the past few years, Nova Scotia has made strides in gaining lobster market share in China. And thanks to President Trump, it appears the amount of locally-caught lobster is about to increase substantially. The timing could not be more perfect for the LFA 33-34 fishery, which is set to kick off at the end of November. 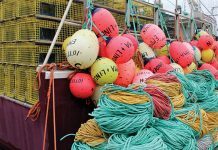 Unless something drastic changes, southwest Nova Scotia is sure to pick up some of the U.S. lobster export market, particularly from nearby Maine. 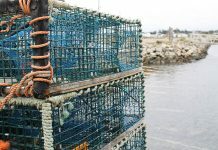 Speaking of Maine, many processors there have expressed concern that they are systematically being swept out of the lobster business by their own federal government.